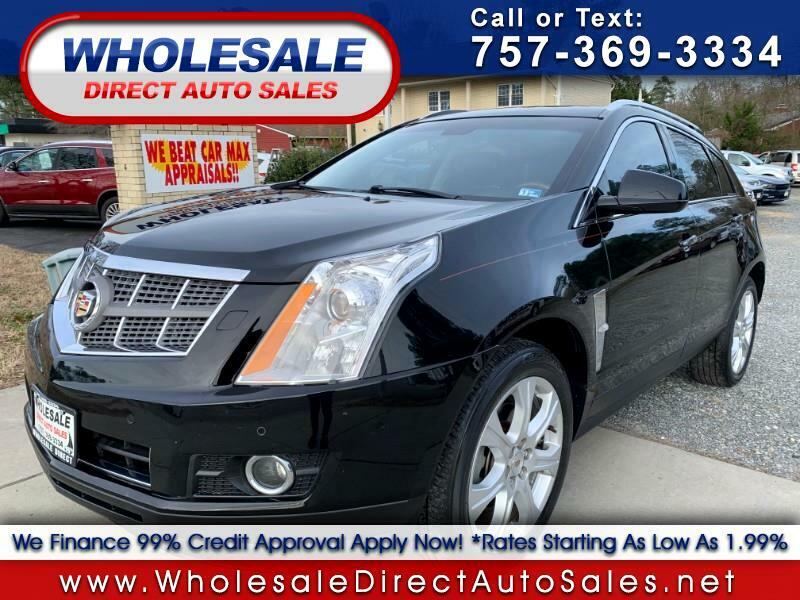 Listed is A 2011 Cadillac SRX! It is a carfax certified vehicle! It is priced well below NADA book value! It will not last long in inventory! It is Automatic drive, has power windows, power mirrors, power locks, leather seats, cruise control, heated front seats, back up camera, navigation, power sunroof, rear entertainment & AM/FM radio!!! We provide quality pre-owned vehicles to all of our neighbors in Newport News, Hampton, Williamsburg, Yorktown, Poquoson, and all of Hampton Roads. We are sure that once we handle your needs for a vehicle the first time, we'll be your Hometown Dealer for your entire family, friends, relatives, and acquaintances. If we do not currently have what you are looking for in stock, we will get with you and ORDER YOUR NEXT USED VEHICLE online. We offer a full range of Bank financing, Credit Union financing and our special In-House financing, with rates as low as 2.99%, to help those of our neighbors affected by today's economy. WE ARE HERE TO SERVE YOU, OUR NEIGHBORS, FRIENDS, AND CUSTOMERS! Call Today to set up an appointment or test drive! Dont Pay Retail, Pay Wholesale!!!!!!!!! !